Do you know if the amount you're paying on your HVAC and cooling bills are too much? It may be time to think about an HVAC replacement. From square footage to window orientation, a knowledgeable HVAC technician will check everything to make sure you get products suitable for your needs. Modernize has over 10 years of experience helping homeowners find and get quotes on HVAC in Cincinnati, OH. We take pride in what we do and we want to help ease the process of getting a replacement HVAC installed. It is always smart to compare at least four different price quotes from contractors to make sure you are getting the best local prices on installation services. Get free quotes from the best hvac repair contractors in Cincinnati, OH, ready to complete your project. Installing or replacing your home’s HVAC system at an affordable cost is important in today’s economy. An inefficient or malfunctioning HVAC system might require replacement or you may need an upgrade due to a room addition or new construction. No matter the situation, an informed homeowner makes for a smart consumer. By becoming familiar with the HVAC buying process, you not only set yourself up to save time and money, but also ensure that you end up with a system that meets or exceeds your expectations. One of the most important focal points to cover when talking to an HVAC contractor or sales representative is what type and size system is suitable for your property. When an HVAC system is not sized correctly, whether it is too small or too large, it will not operate efficiently or reach its performance standards. Never assume the current size of existing equipment is acceptable and if your contractor suggests otherwise, you might want to consider another contractor. Most professional HVAC contractors will make the necessary HVAC and its accompanying ductwork calculations based on several factors including both Manuals J and D to determine the proper size and type of HVAC system and ductwork required. A handy online calculator can give you an idea of the costs, but you should follow your contractor’s advice and calculations. 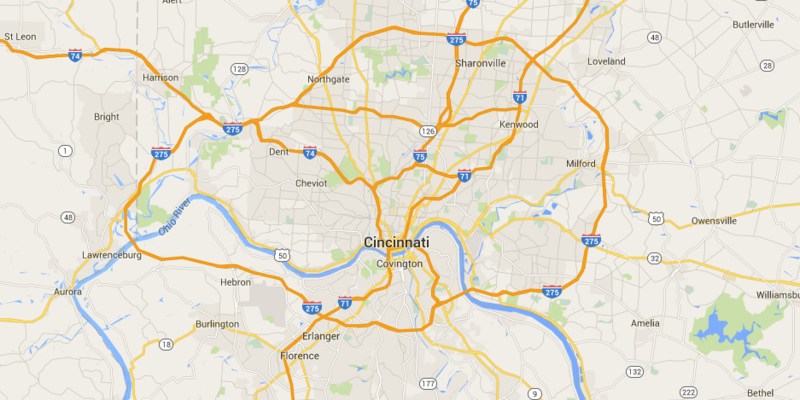 Permits are required for HVAC and Mechanical installations or replacements in Cincinnati, Ohio. Beware the contractor who suggests bypassing the permit process as it is there for your protection. If your HVAC contractor suggests installing or replacing your HVAC system without first obtaining a permit, move on to another contractor. For information about starting the HVAC permit process in Cincinnati, contact the Cincinnati Business Development & Permit Center, 805 Central Avenue, Suite 500, Cincinnati OH 45202. Hours of operation are Monday through Friday between the hours of 7:30 A.M. and 4 P.M. You can also reach them by phone by dialing (513) 352-3271 or by fax at (513) 352-2579. An online HVAC permit application is available online for your convenience by clicking here. Before meeting any HVAC contractors or sales representative, prepare yourself by compiling a list of important questions regarding your HVAC installation. What size system is appropriate for my property and what calculations and information did you base it on? What is the condition of my ductwork and should it be inspected? Can you provide proof insurance and verification of HVAC license? Which types of HVAC systems offer the most energy efficiency and are best suited for my climate? What is the SEER “Seasonal Energy Efficiency Rating” of the HVAC system you plan to install? How long is the warranty period for the equipment and does it include parts and labor? How long will it be before my new HVAC system is up and running? Are there any rebates or tax credits available for my new system that can reduce the out-of pocket expense? Will you provide me with a written estimate detailing the entire job including labor, materials, permits and warranties? Do you offer new customers discounted, annual service agreements? The type of HVAC system you choose will depend on several determinations including your desired efficiency standards, space limitations, climate zone, and recommendations from your HVAC contractor. Below you will find a list of common HVAC systems used in residential applications in Cincinnati. These systems are gaining in popularity due to their easy installation and the added benefit of zone control. Ductless mini splits utilize both indoor and outdoor components but do not require ductwork making this system ideal when space limitations exist. Installation entails boring a 3-inch hole through an exterior wall to accommodate supply lines, electrical lines and the thermostat wire in addition to mounting the heating/cooling head on an interior wall. Split system air conditioners are the most common types used in residential applications. Its main components are an outdoor condensing unit and an indoor air handler. The air handler’s main components are a fan motor or blower assembly and an evaporator coil. Exterior components are a condensing coil, compressor, and fan assembly. Packaged HVAC systems provide all of the necessary HVAC components in a single housing located on the property’s exterior or roof. Heat pumps are high-efficient systems capable of both cooling and heating your home. Although they will cost you more upfront, energy savings usually pay for the additional costs within five years. Common types of heat pump systems are air-source heat pumps and geothermal or ground-source heat pump systems. Your contractor is the chief of your HVAC operations. They will guide you through the entire process and control the quality of the installation. Ask your contractor about money-saving rebates that may be available to you through your local utility company, third party vendors, or the federal government.